The following Clubs welcome your inquiries and participation. 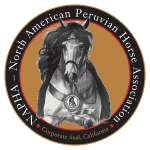 Many put on regional shows, organize trail rides, and social activities for their members AND they welcome aficionados (those who do not yet own a Peruvian Horse! Contact YOUR regional club(s) for further information. The clubs listed below must complete the following each year to be a NAPHA approved club: submit the club reporting forms each year by Feb. 1st; have five or more NAPHA owner members, and conduct four functions for their members annually. If they meet all the criteria for NAPHA approved Peruvian Horse Clubs , the presidents of approved clubs may participate in the Advisory Council Meetings if they so desire. Club Reporting forms must be submitted annually, by Feb. 1.